I'm gonna start with the bad since I like to end with the positives: I wish this album were longer. 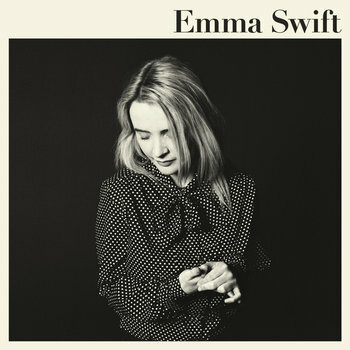 Emma Swift splits her time between Sydney and Nashville, but there's no question that the Australian native deserves a special place in Music City. Swift's got the voice of singers long past -- maybe great country vocalists were a dime-a-dozen in the old days, but in an age of autotune and sampling, Swift will make you stop right in your tracks. That's not to say she wouldn't have stood out back in the day, but her voice is a clarion call now more than ever in a time where soul is being eked out of music for every last penny. Swift's backing band is no less impressive -- "King of America" is a dreamy ballad of a drunken encounter, one that Hank or Loretta could have sung. But as the three-verse song is spun out over 8 minutes, you can't help but be carried away to your local dive bar and sadsack cover band. Swift's approach reminds me of Sturgill Simpson's latest opus -- proving their traditional chops allows both artists to push the boundaries of the genre over the edge without you even realizing. Emma Swift is absolutely a keeper. Maybe we can convince Australia to let us have her as our next national treasure.